The 2017 Mazda Miata is pretty much perfect, but it does feel like it’s missing something. Someone just gave their Miata that missing ingredient, the one feature the car needed to achieve supreme automotive excellence. Right-hand drive? No. Well, in this case yes, but also, pop-up headlights! 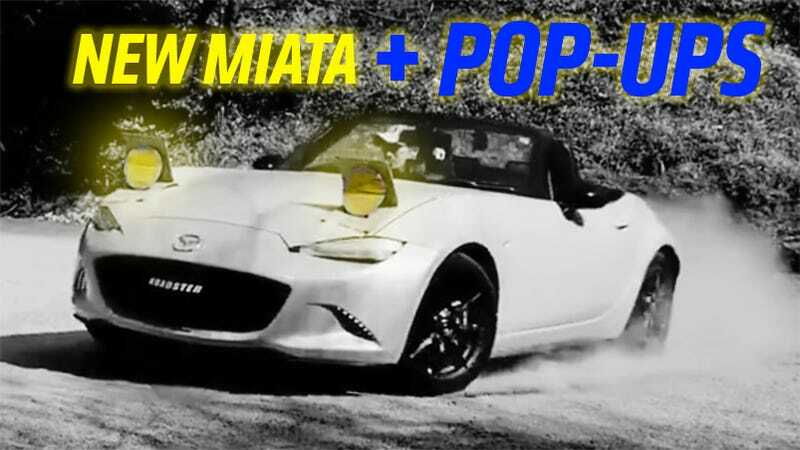 Pop-up headlights aren’t what made the original Mazda Miata famous, but they definitely made the car look happy to see you. The new Miata is still excellent, even if its face is a little angrier these days. A little throwback to the OG fixes that. I don’t, uh, think these flappy bits of cardboard will do much for your nighttime visibility but they sure are cute and hilarious.